Though mallu beauty Keerthy Suresh started off with very homely, a girl next door Roles not even wearing costumes that reveal her hip, with her upcoming release Thaana Serndha Koottam opposite Suriya, she has broken her image, with a generous display of curves and thighs, besides a surprise view of her so far hidden fleshy hip. 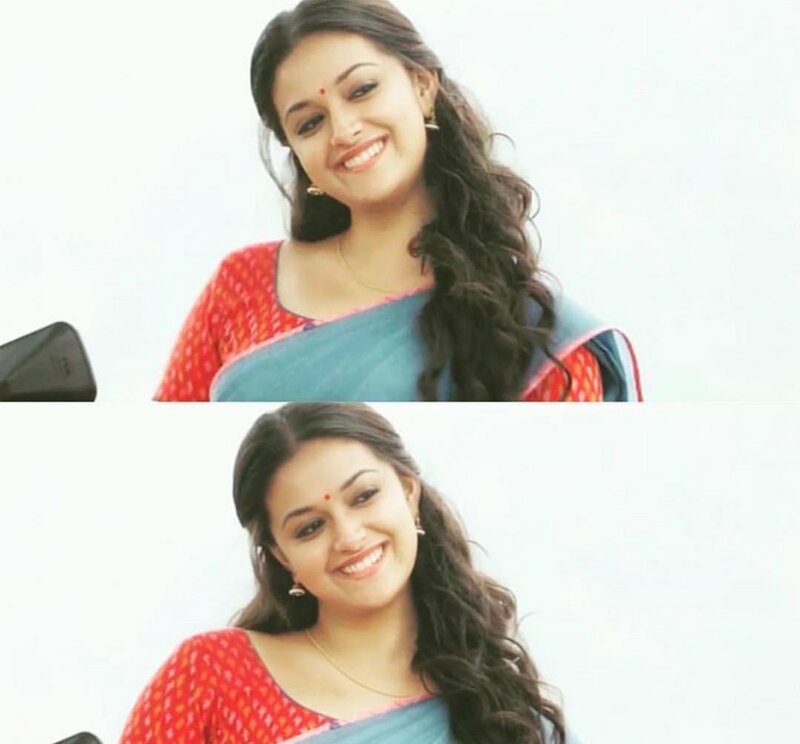 Keerthy Suresh was just having a bad time as all her movies are facing failures. Her sequels, 'Saamy 2', 'Sandakozhi 2' failed and her movie with Vijay was even a bigger flop. The actress was down and under.